What’s a flask without whisky or whisky without a flask?This promotion provides customers using Irish stores the opportunity to not only get two bottles of whisky but a fantastically branded flask as well. 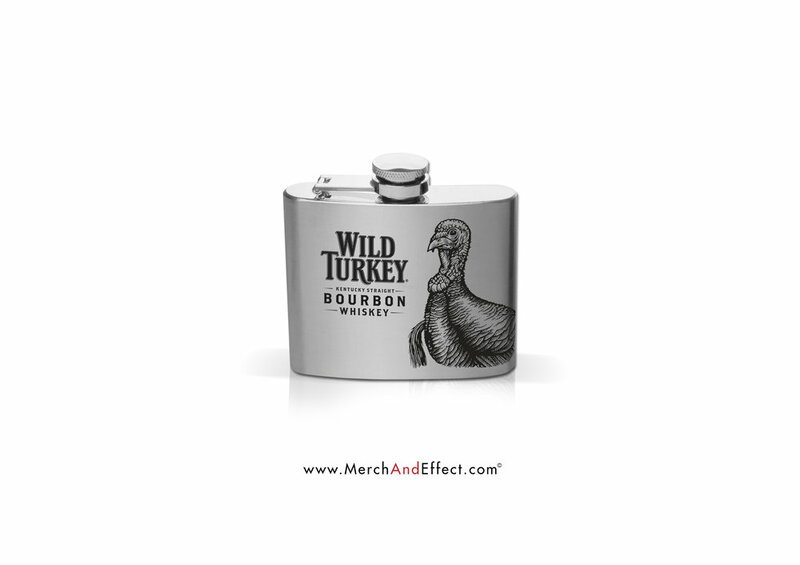 Why do we like this branded hipflask as a promo product? High quality. We provided customers with a high quality promotional product, which in turn reflects the sort of quality first time customers can come to expect from the brand. Boost in sales. This gift with purchase strategy will attract more customer to try the product and to purchase 2 bottles in order the get the premium gift. Customer loyalty. Customers which have already tried this brand’s drink will also be delighted with the free branded hipflask promo, and provided they receive excellent service for their loyalty, the business will continue to attract more and more customers through positive word-of-mouth. Thus, a free branded gift with purchase, when executed correctly can be an effective way for a brand to market themselves on a regular or seasonable basis.